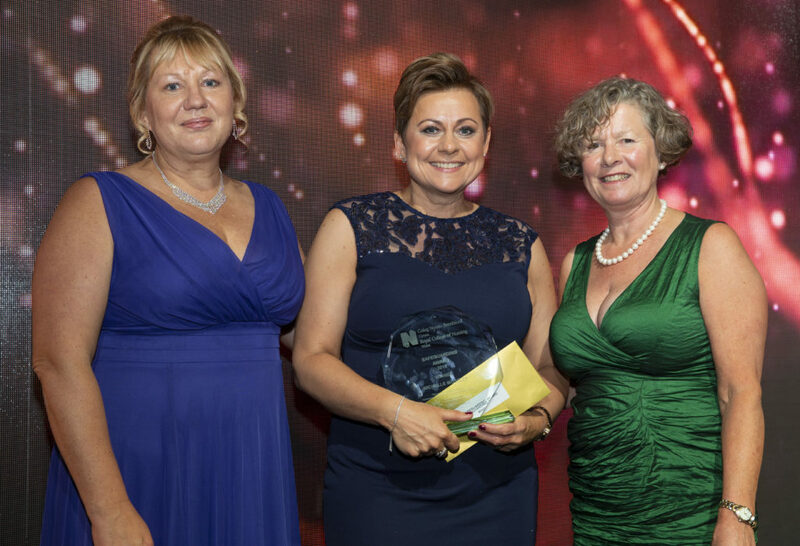 In June we asked you to nominate a registered nurse or midwife practicing in Wales for the Safeguarding Award category at the RCN Nurse of the Year Awards 2018. This award recognises a Registered Nurse or Registered Midwife who has made an outstanding contribution to the safeguarding of children and/or adults at risk under the Social Services and Well-being (Wales) Act 2014 via a service improvement that enables protection against abuse and neglect within communities. Our two finalists were Janet Edmunds, lead nurse for Looked After Children at Hywel Dda University Health Board and Michelle Moseley, lecturer, Primary Care and Public Health Nursing/Director of Learning in Practice at Cardiff University. Without doubt, it was a tough decision for the panel of judges but on the night the winner was declared as Michelle Moseley. Congratulations to both Janet as a very worthy runner-up and to Michelle as the declared winner. 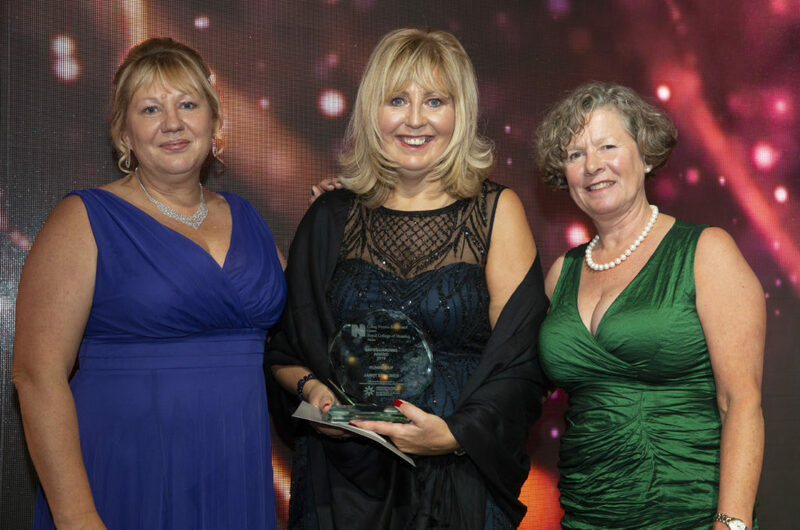 Award winner Michelle Moseley with Helen Whyley, Interim Director, RCN Wales (left) and Rachel Shaw, NISB (right). Runner-up Janet Edmunds with Helen Whyley, Interim Director, RCN Wales (left) and Rachel Shaw, NISB (right).